Republicans Target Senior Voters By Raising Concerns About Medicare : Shots - Health News Democrats are hammering Republicans over their efforts to eliminate insurance protections for pre-existing conditions. Republicans are telling seniors their Medicare coverage may be in danger. "Democrats call it 'Medicare-for-all' because it sounds good, but in reality, it actually ends Medicare in its current form," Speaker of the House Paul Ryan asserted in a speech at the National Press Club in Washington, D.C., on Oct. 8. Once again, Medicare is moving front and center in this fall's campaigns. Throughout the election season, Democrats have been criticizing Republicans over votes and lawsuits that would eliminate insurance protections for pre-existing conditions for consumers. "The Democrats' plan means that after a life of hard work and sacrifice, seniors would no longer be able to depend on the benefits they were promised," President Trump wrote in a guest column for USA Today on Oct. 10. "Under the Democrats' plan, today's Medicare would be forced to die." The column was filled with false and unsubstantiated claims, as NPR's Scott Horsley reported. In a speech to the National Press Club on Oct. 8, House Speaker Paul Ryan, R-Wis., said almost exactly the same thing. 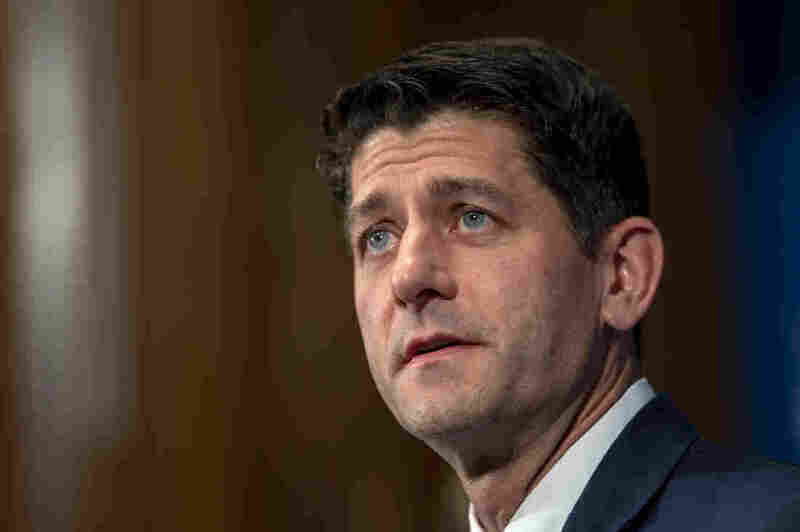 "Democrats call it 'Medicare-for-all' because it sounds good, but in reality, it actually ends Medicare in its current form," Ryan said. And Democrats are far from united on the topic of expanding Medicare, but that is not preventing Republicans from suggesting that they are. In New Jersey, Webber's Democratic opponent, Mikie Sherrill, is actually not one of the many Democrats who have specifically endorsed the idea of "Medicare-for-all." Issues involving Medicare and Social Security can motivate those older voters even more, says Blendon, "because they are so dependent on [those programs] for the rest of their lives. Retirees are very scared about outliving their benefits." Medicare is often a rallying cry for politicians from both parties during elections. In 1996, Democrats in general and President Bill Clinton in particular campaigned on the early GOP attempts to rein in Medicare spending. Republicans coined the term "Mediscare" to describe Democrats' attacks. But in the 2010 midterm contests, Republicans went on the attack. Just after the passage of the Affordable Care Act, Republicans zoomed in on the billions of dollars in Medicare payment reductions imposed on health providers to help pay for the rest of the law, sparking protests against Democrats around the country. Later, after Republicans regained control of the House in that election, Ryan, then head of the House Budget Committee, opted to call for a repeal of everything in the ACA except the Medicare reductions the GOP had so strongly campaigned against in 2010. This year, the Democrats are hammering back, noting that both Trump and the GOP Congress have proposed more cuts to Medicare and that under Republican leadership, the insolvency date of the Medicare trust fund has gotten closer. Trump's economic adviser Larry Kudlow has suggested that the administration will push for larger entitlement cuts in 2019. For his part, Senate Majority Leader Mitch McConnell, R-Ky., in an interview with Bloomberg News, blamed higher deficit numbers on Medicare and other entitlement programs rather than the GOP's tax cuts from 2017. In addition, pollster Geoff Garin, president of Hart Research, said in a conference call with reporters Oct. 15 that the attacks on "Medicare-for-all" are not showing up in polls yet. But he said he's skeptical of how much impact they could have. Still, Harvard's Blendon says he understands why Republicans are trying: "Seniors are critical for Republicans to maintain their majority."